1 The Knolls Sentosa Island, 098297, SINGAPORE. 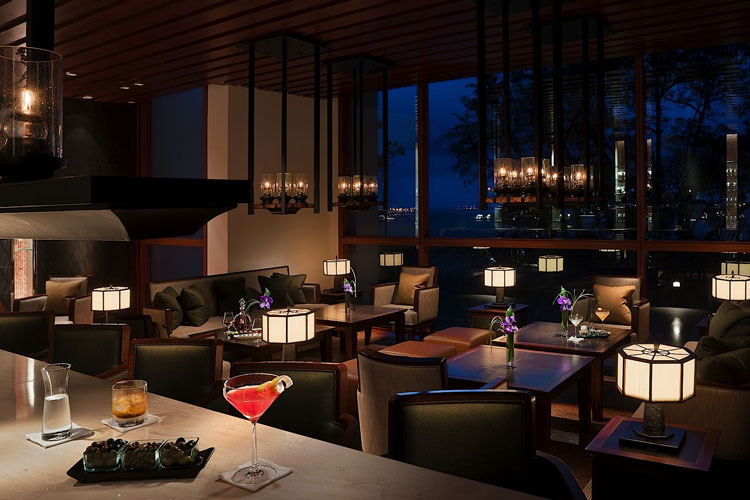 Enjoying a fabulous location on Singapore's Sentosa Island, The Club at Capella Singapore is a luxury serviced apartment complex, offering exclusive accommodation and top-class service in a selection of modern and heritage buildings. 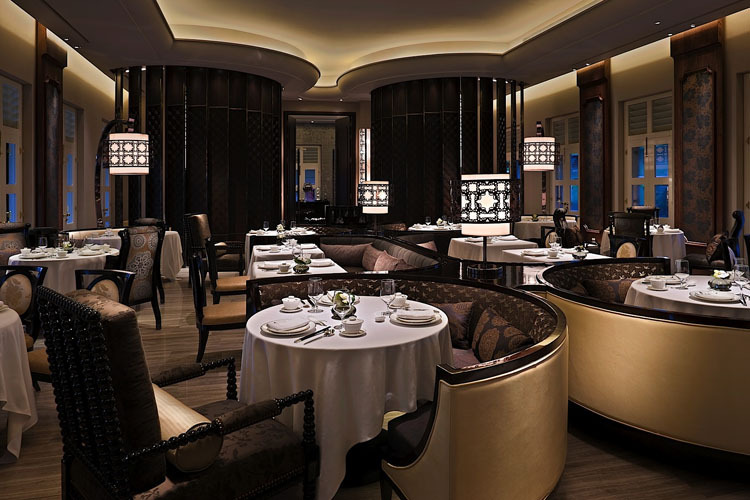 Offering panoramic views of lush greenery and the expansive South China Sea, The Club at Capella Singapore is the perfect setting for longer stays in Singapore, with all the luxury services of the Capella Singapore Hotel. 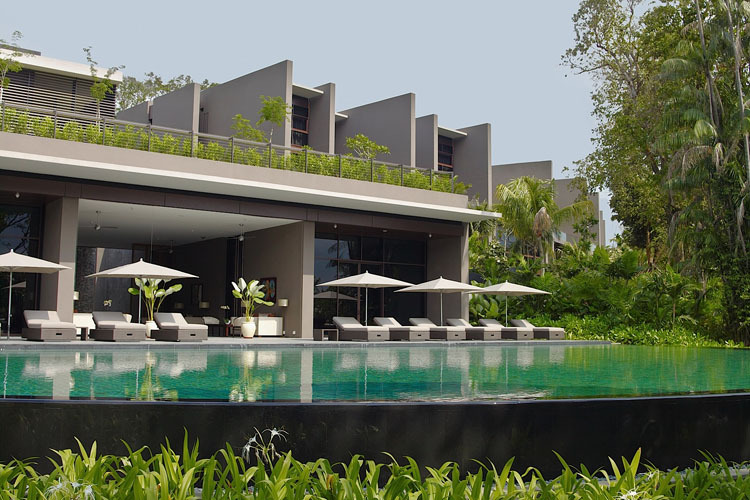 Just footsteps from Sentosa's beautiful Palawan Beach and Palawan Island, the southernmost point of continental Asia, The Club at Capella Singapore is ideal for restful stays in Singapore, away from the hustle and bustle of the city centre. It is nevertheless within easy reach of many of the fabulous sights and sounds of this fascinating multi-cultural city, including Universal Studios, Chinatown, Orchard Road, or the Central Business District. Guests at The Club at Capella Singapore enjoy special green fee rates at the Sentosa Golf Club, and can take advantage of many of the facilities and services of Capella Singapore Hotel, including the Auriga Spa, three spectacular swimming pools, and an extensive range of restaurants and bars. These include The Knolls, with authentic Mediterranean cuisine, Cassia, a modern Chinese restaurant, and Bob's Bar, with a fifties and sixties Cuban island atmosphere. 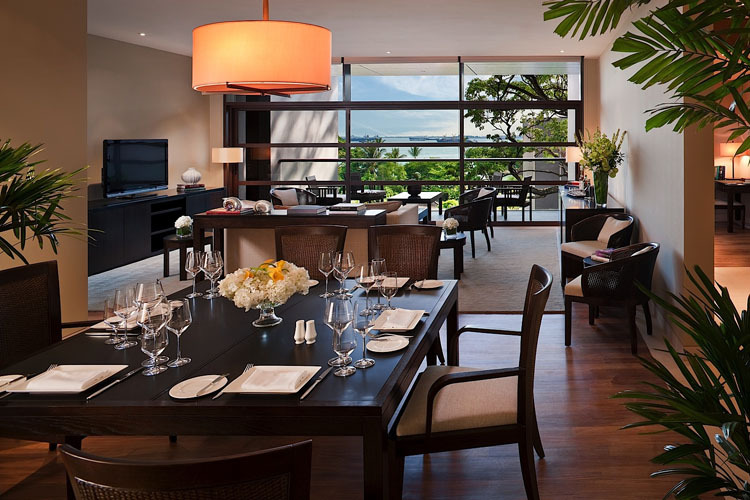 A serviced suite on Sentosa Island is generally larger than a hotel room in Singapore and provides a more home-like environment. 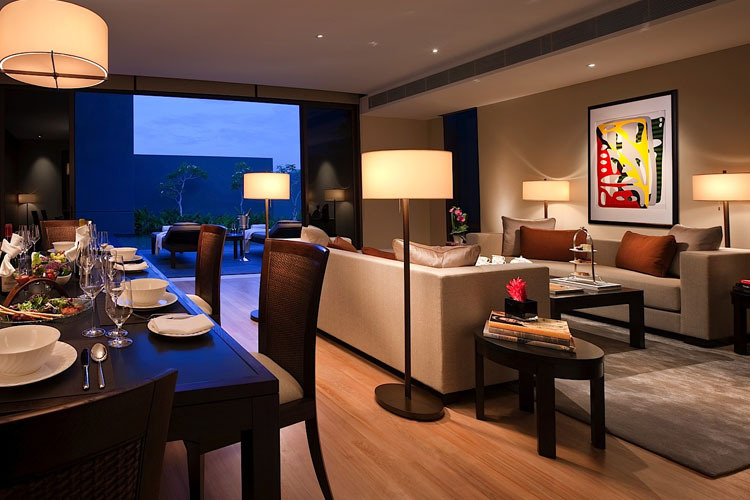 Each one bedroom furnished apartment offers either a view of the South China Sea or the lush green garden, certainly a perfect retreat for couples from the energy of Sentosa Island, Singapore. 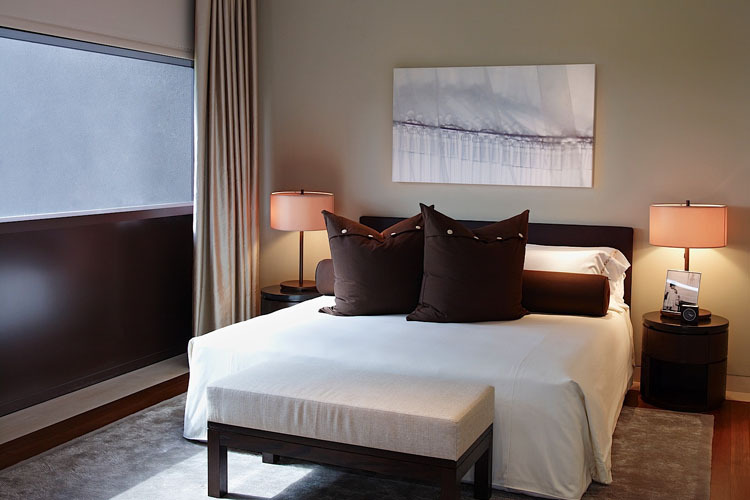 The Club Residences offers one bedroom furnished and fully serviced suite apartments in Singapore for rent ranging between 83 square metres to 109 square feet. 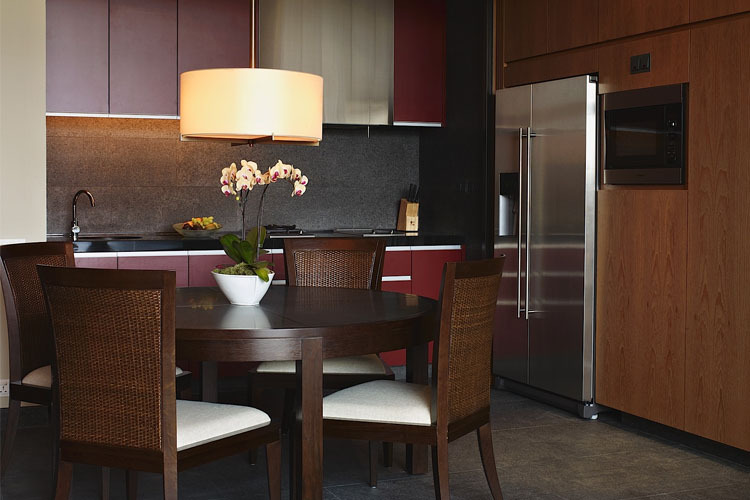 Each one bedroom apartment offers a fully equipped kitchen, spacious living room and private study room. 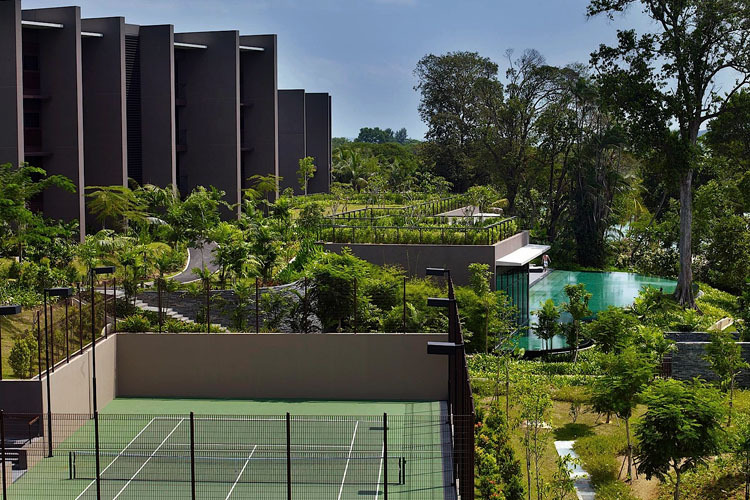 Through a filigree of 20 metre-tall trees, the Club Residences provides its guests short term suite accommodation on Sentosa Island with two bedroom serviced apartments. 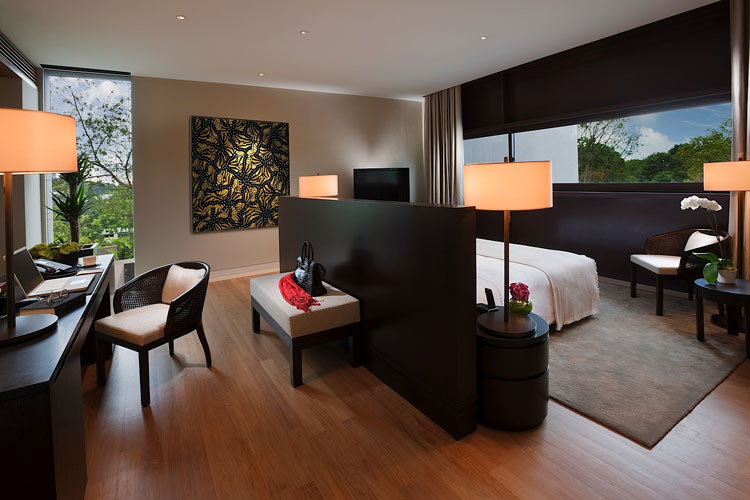 Each of the 170 square metre two bedroom Singapore serviced suite apartments offer a view of the South China Sea or lush tropical greenery from expansive balconies, offering guests plenty of room to breathe in the Sentosa air. 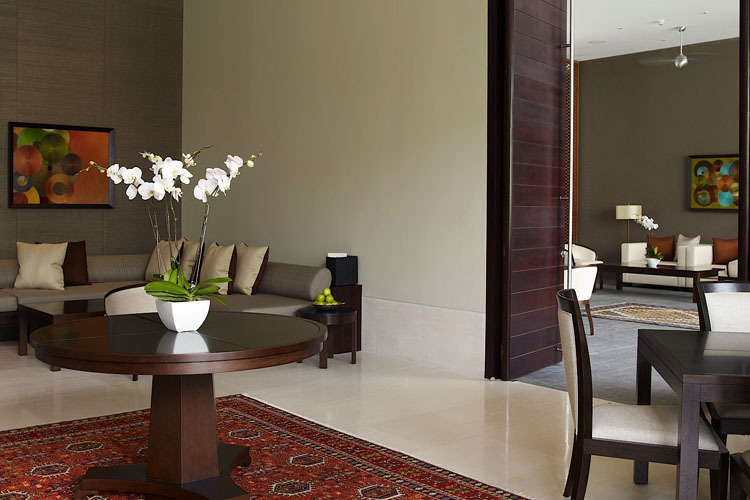 From families to businessmen, The Club Residences' two bedroom short term stay apartments in Singapore serve guests with a combination of space and grace. 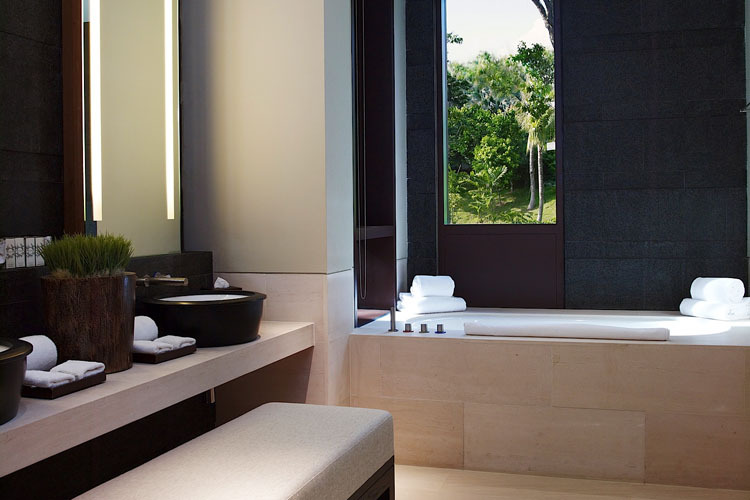 With breathtaking views of the South China Sea or the lush tropical greenery through a filigree of 20 metre-tall trees, The Club Residences by Capella Singapore features three bedroom short term serviced apartments in Singapore of 222 square metres each. 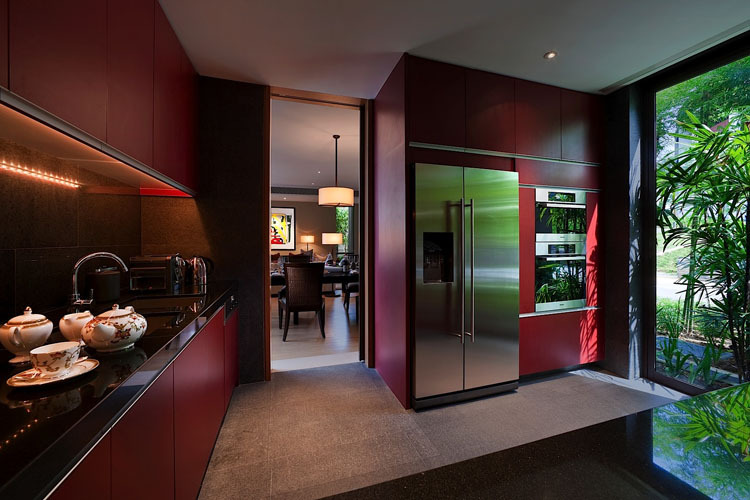 Perfect for families, the three bedroom apartments serve guests as a welcome alternative to a luxury house rental in Singapore. 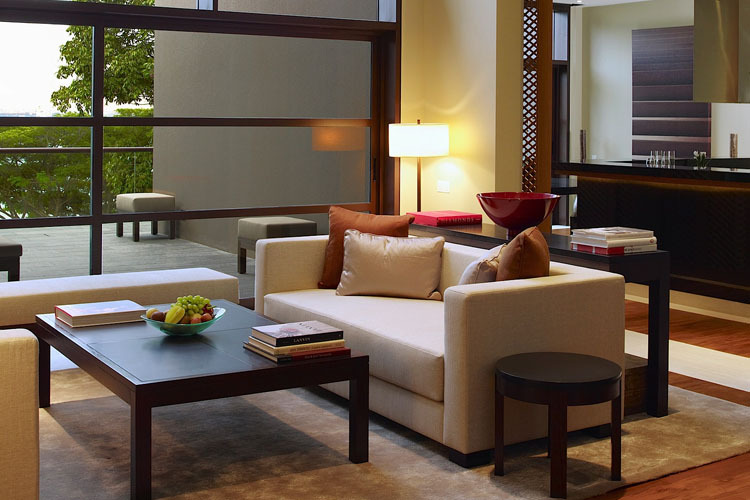 The Three-bedroom double-storey serviced residences at The Club Residences feature 296 square metres of spacious apartment accommodation in Singapore. Entertaining is a breeze in the expansive balconies offering spectacular view of Capella's lush tropical greenery or the splendid South China Sea. Each residence is fitted with first class amenities and a designer kitchen to make guests' stays comfortable and carefree. Ideal for guests who are seeking to rent a luxury apartment for a comfortable and prestigious temporary serviced residence in Singapore. Live life at its finest in The Club Residences' manors. 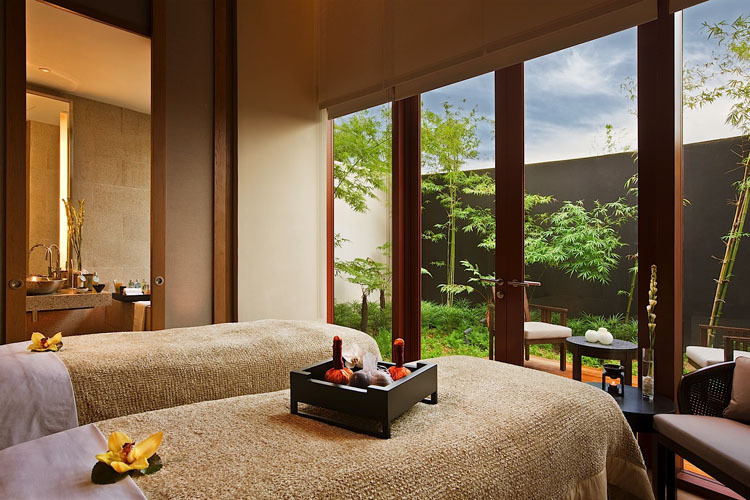 Enjoy the luxury bungalows for rent in Singapore with living spaces from 391 sq m set amid Capella's lush gardens. 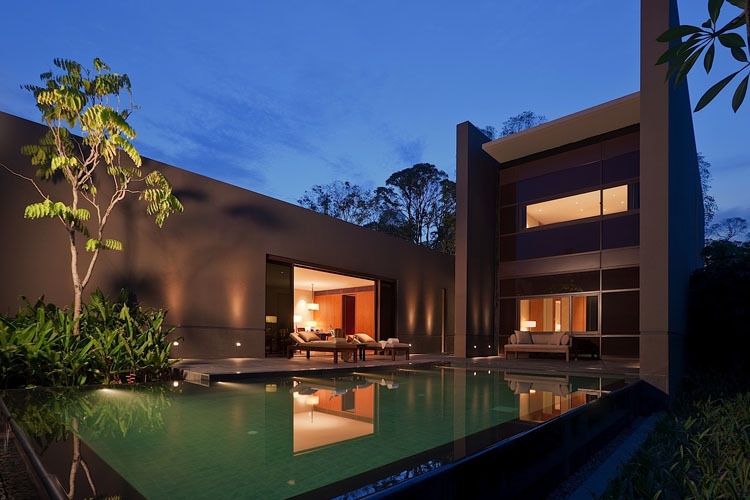 Guests of The Club Residences by Capella Singapore's luxury homes can also enjoy Singapore's beautiful tropical weather with large outdoor living spaces and a 4,5 m X 9,5 m private pool. For the most selective guests looking for a luxury furnished apartment rental in Singapore, The Club Residences by Capella Singapore has the perfect offering; Available in 355 square metre and 397 square metre configurations, each of the four bedroom Singapore serviced apartments features a spacious living and dining area, a wet and dry kitchen and a spacious master bedroom with walk-in wardrobe. 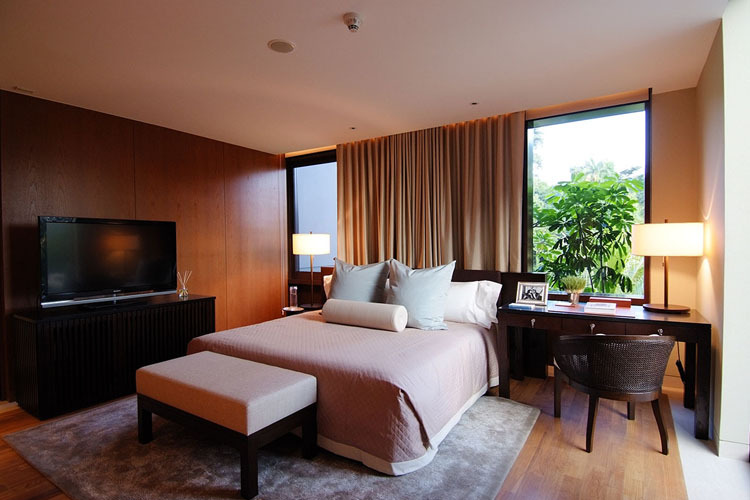 With delightful views of lush gardens or the beautiful South China Sea, guests in the four bedroom service apartments in Singapore will enjoy breathtaking vistas from the comfort of their luxury serviced apartments. 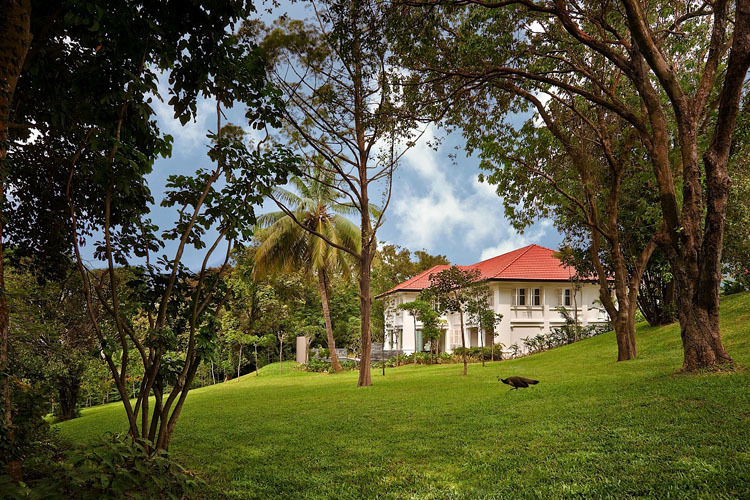 The Colonial Manor, standing at an impressive 436 sq m, is one of four heritage buildings in Capella Singapore given conservation status on 7 August 2000 under the Conservation of Built Heritage. Spacious and thoughtfully designed by world-renowned interior designer Jaya Ibrahim, the Colonial Manor is truly a piece of living art. 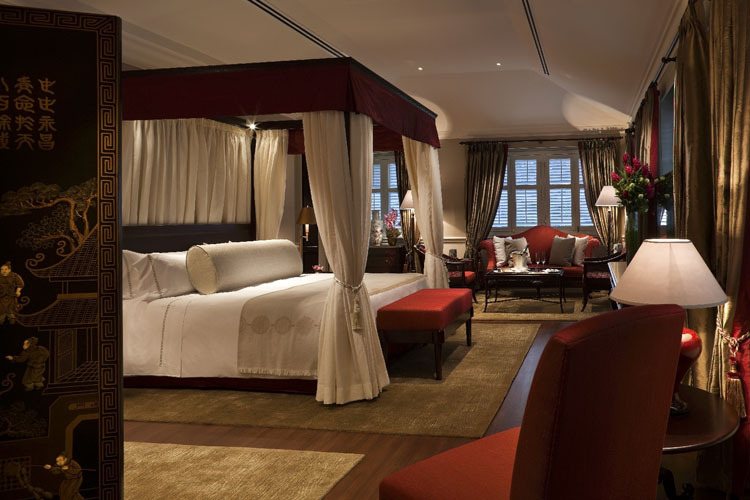 Built in the 1880s, it has been meticulously restored and seamlessly integrated with Capella Singapore's stunning contemporary architecture by Pritzker Architect Prize Laureate Lord Norman Foster, co-founder of the famed architecture firm Foster + Partners. 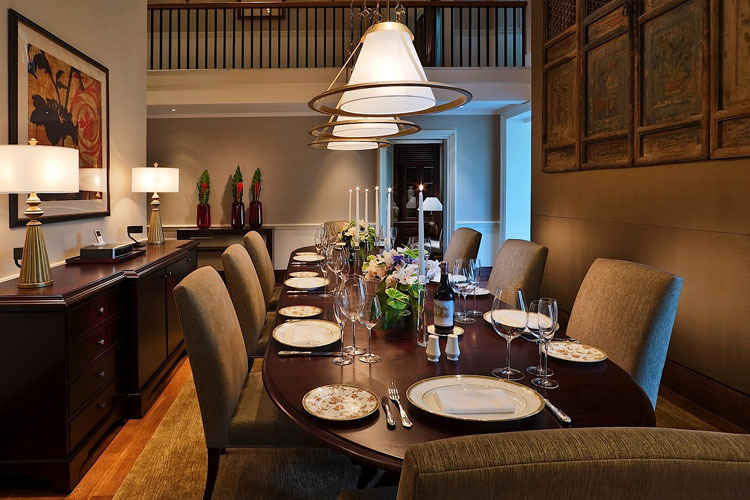 The Colonial Manor presents itself as the most exclusive and opulent, and offers residents lavish rental accommodation in Singapore with three stylish bedrooms, a stately dining room, designer kitchen and a private pool. 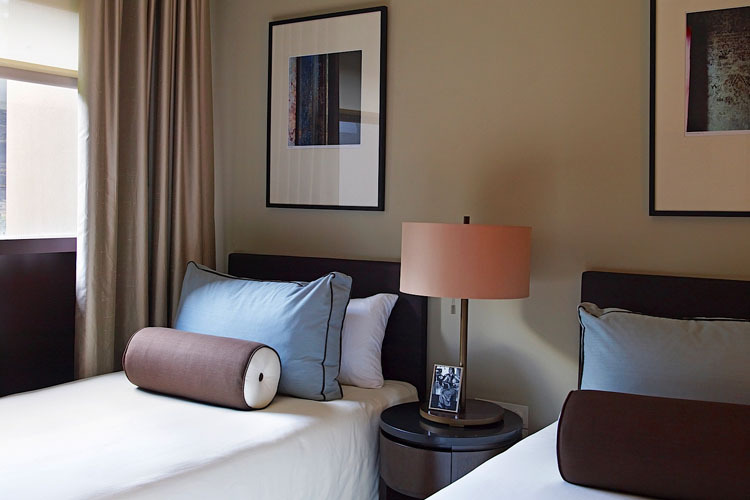 Guests have the opportunity to stay in a historic gem, equipped with all the necessities for the modern traveller. 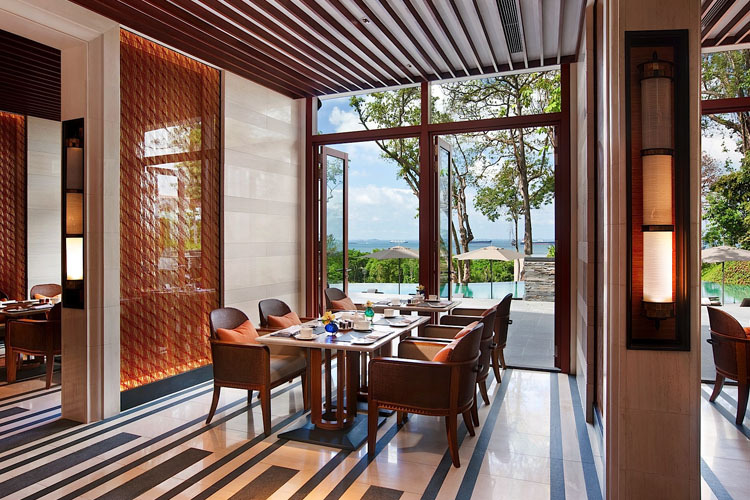 For a truly unique take on the Capella Singapore experience, the Capella Manors offer luxury furnished apartment accommodations with three bedrooms in the beautiful contemporary design residence manor in Singapore. 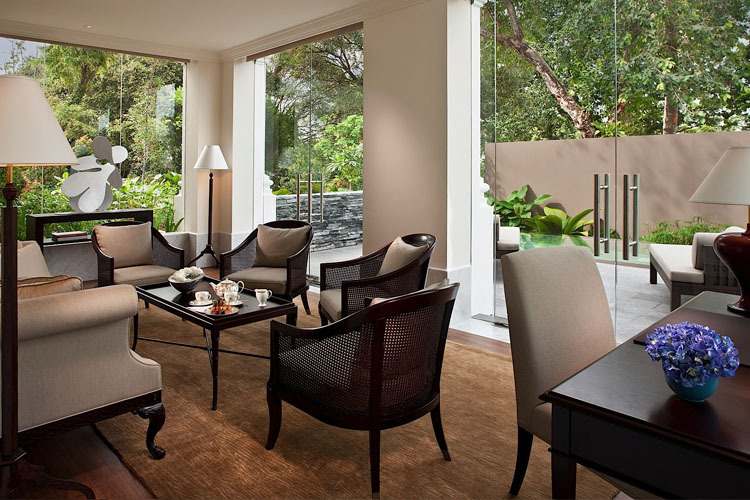 Each of the spacious furnished Capella Singapore hotel apartments are 524 square metres, come complete with a stately dining room, a study, lounge room, fully equipped kitchen and a 5,5 m x 12,5 m lap pool. Guests at the serviced residences have the opportunity to stay in a tropical gem, equipped with all of the necessities for the modern traveller. Luxury airport transfers can be arranged on request. Charges apply. Official category: 5 star apartments. Languages spoken: Chinese, Indonesian, Malay, English, Filipino, French, Japanese, Korean. Credit cards accepted: American Express, Visa, Euro/Mastercard, JCB. Nearest airport: Singapore Changi Airport - 25,5 km. Golf - 1,7 km: Sentosa Golf Club. Meeting room up to 500 Pers.